What Email Marketing Will Look Like In 2018? What Email Marketing Will Look Like In 2019? Trending what marketing looks like year over year is a way for small businesses to get a headstart on what their partners, competition and consumers are looking for or will find important as they gear up for each new year of marketing. Digital marketing has gone from the hot new phenomenon to commonplace in the recent years, but is far from dull in terms of what it offers, year after year, to those that choose to utilize it. Email has become one of the most effective ways to market in the digital economy because it’s quick, convenient and increasingly mobile. 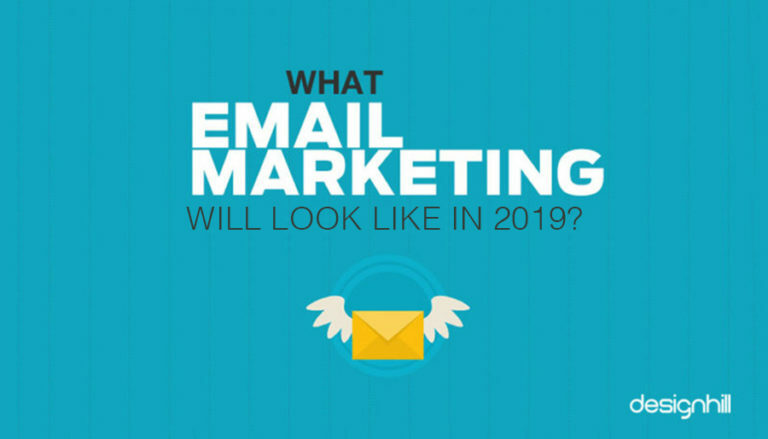 So what will email marketing look like as we progress through 2019 and into the next few years? With nearly half the year already gone, let’s look at some of the trends that businesses are focusing on for their digital marketing. Segmentation refers to separating your content into smaller, select compartments and only delivering content to the customers that it’s applicable to and that care about it. It might seem like more work or like you might miss out on delivering information to customers to form opportunities to drive sales or make connections, but the truth of the matter is that customers are more likely to open emails if they know that it will be pertinent to their interestsor needs. In digital marketing content is king and giving the content value to the individual makes it less likely to be handled as ‘spam’ or something to be over-looked. Segmentation, however, isn’t always applicable to every market. If you are already very selective on the products or services you are offering through email marketing, segmentation wouldn’t make any sense for you. Be sure that the information you separate out can all stand on its own. If it needs to refer to many other segments of information, it’s probably not a good candidate to use this tool on. As we spoke about segmentation and a little about content quality, let’s talk about the new move towards easier opt-outs and why it’s a potential positive thing for your company instead of a negative thing. You, like most of the digital marketing community, probably weren’t happy when Google began rolling out it’s user empowerment features, starting with an easy opt-out option that allows consumers to unsubscribe from an email list without even browsing the content first. It can be a frightening thing, seeing consumers empowered to choose not to read your content, but rest assured, it has a definite positive impact. Easier opt-out is only negative if your content isn’t interesting and doesn’t have value for the consumers that are getting it in their inboxes. Empowering users to opt-out should be a message to marketers to step up their game where it comes to content and quality. Quality delivered to inboxes would have ensured interest even before the easy opt-out feature, but now consumers can be sure what’s coming to their boxes is something that applies to them and when paired with segmentation, you get consumers happy to open any email you send to them, as long as the content has quality. Along with better content, it’s clear that you will need to provide better quality graphics for your consumers. Thankfully, email providers across the internet are upgrading, overhauling and redesigning the look and feel of their services to make delivering and viewing graphics of higher quality better and more convenient. Given this particular trend, if you don’t already have a design team prepared to overhaul your email headers and layouts, you may want to consider investing. Designhill offers a unique approach to securing a professional Email design from a talented professional in the design community. Don’t overlook the power of properly applied graphic design. There’s no question that email is firmly ensconced in the arena of digital marketing and avoiding it or not paying it the attention it deserves will only hurt your attempts to take your marketing to more people, more quickly and conveniently. Don’t make the mistake of missing out on the nearly 72% of consumers that prefer email for their primary method of communication with businesses. Take the extra steps to organize and send out your content in bite-sized, relevant packages that will have consumers reading and take advantage of the technological advancements that mean bigger, better designs and layouts are not only possible, but expected. Looking for Customized, On time, Email Designs? Launch an Email Design Contest today. Choose from 100+ designs. Take your pick!